I moved almost one year ago and today I am excited to share with you my experiences as part of the Skybell blog program with One2One Network. Now, I honestly never fancied my self a techy - gadgety girl...but I think I was wrong about that. I couldn't wait to install the Skybell and get it working. In fact, I think my kids were even more excited than I was. And,might I add that I was super excited to see Skybell is made in the U.S.A.
Motion Sensor: Skybell can detect when someone may be at the door or on the porch (like a delivery man with that important package). The motion sensor alerts the app and I can see what exactly is going on out there! 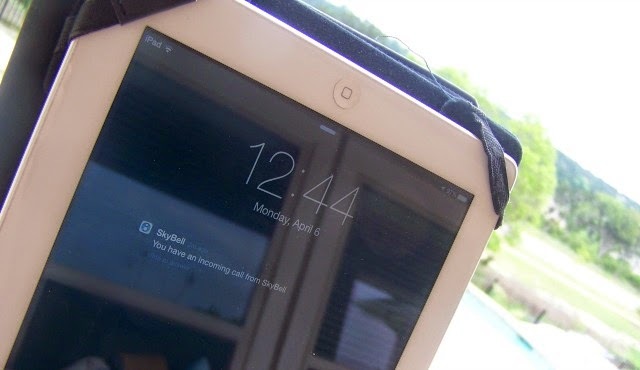 On-Demand Viewing: At any time, you can turn on your Skybell to view your front door/entry way. I love this feature! I can always hear the delivery trucks coming down the road...and I love getting packages...now I can see if they are on the street for me! Of course this is also a great safety feature as well. 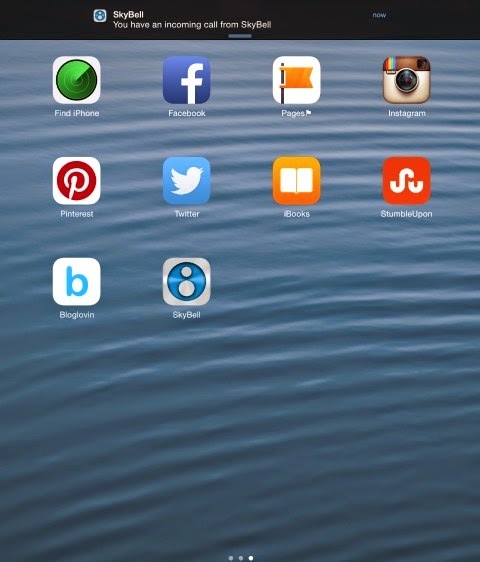 Remote Control: With the mobile app you can manage and change Skybell settings from anywhere! One Way Video: See who is at the door without them seeing you! Two-Way Audio: Talk with whoever is at the door using your device...really great for telling your neighbor "Hey, come around back we are in the pool!" My kids however like to use this feature to ask me questions if they are in the front yard. Photo Snapshot: Take a quick snapshot of whoever is at the door. Night Vision: Skybell has the ability to view in low light conditions (up to 5 feet away). This is great because we rarely leave our porch light on and we live in a Dark Sky community, so there is very little light. Weather Resistant: Designed for outdoor use, even in extreme conditions. We don't get really cold here...but my front porch is blazing hot in the summer! 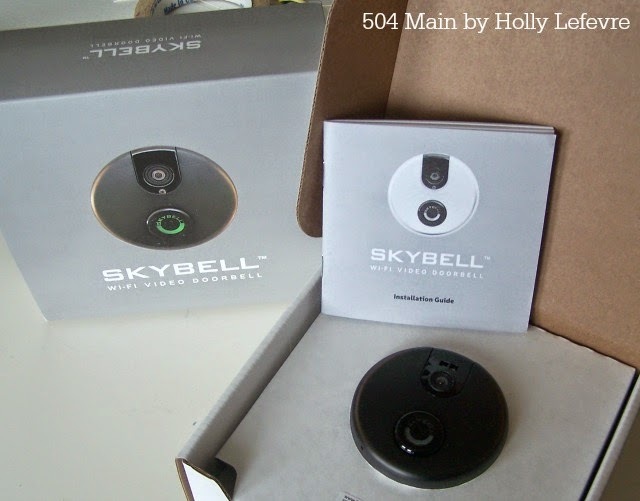 Once Skybell was installed, I also installed the Skybell App, and then I followed the steps to connect to WiFi and sync it with my devices. The Skybell App guides you right through the process...and if you do run into an issue they have support and FAQ. At first my Skybell wouldn't sync (remember I am not techy and trying to figure this out by myself). I tested the mbps upload speed at the door, etc. Then as I read more discovered I needed to change a simple setting on my router. I uninstalled the app after fixing the router issue and reinstalled and resynced and now I have no trouble at all! Now...let's see it in action. Of course I did not ask a solicitor to come and help me out...so this is my son playing neighbor/solictior! I answer the call, and instantly have a video of who is at my door. I can then speak to them, take a snapshot of the visitor...or I suppose, ignore them. When I am done, I just "end call." Is that not cool...or what!!!!! 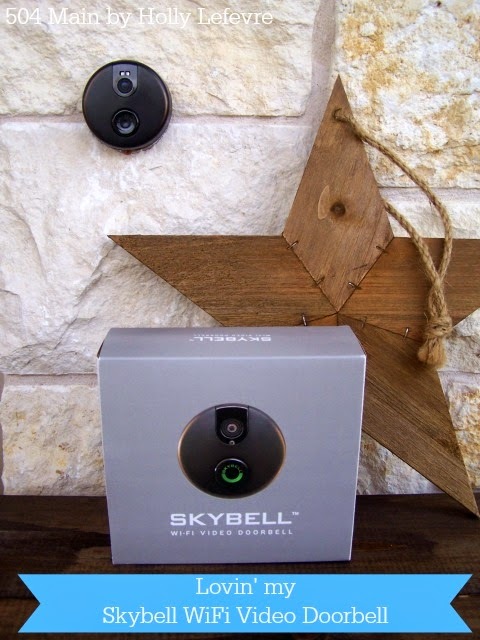 I have had the Skybell installed for about 4-5 days now and I am loving the features and convenience of my Skybell. Now, how would you like to win your own! One winner will be selected at random. Must a a resident of the United States. Enter via Raffelcopter widget below. This really does look interesting and useful, Holly. It is my first time hearing of the Skybell. 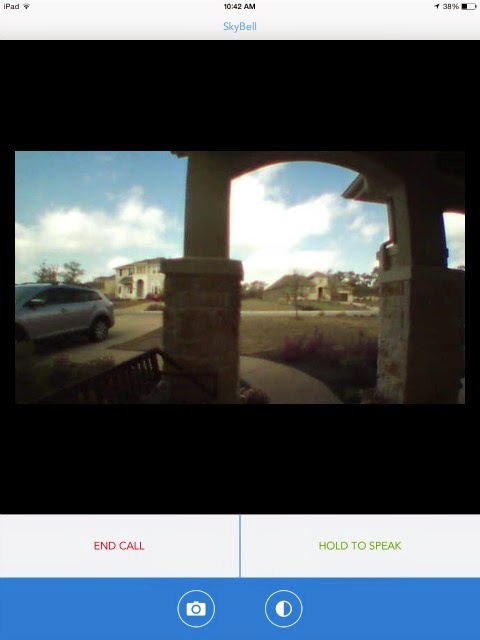 Wow this is super cool, we don't have a doorbell, but my favorite feature the On-Demand Viewing, so cool that you can see who's standing by the front door. Being able to see who is at the door is the best part. Right now when someone rings my doorbell the kids and I run to my son's room and try to peek through the curtains without getting caught. I usually won't answer the door if my husband isn't home or if I don't know who it is. This would be perfect for us. I love the motion sensor, and that I can see who is at my door from anywhere in the house (or out). I like that I can answer from anywhere with my smartphone. whether I am home in another room or away from home. I like the Remote Control feature! My favorite feature is the Two-Way Audio. I like that it's wifi compatible and can use it on my phone. This is so awesome and so important for your home. I love that you can take a quick snapshot of who is at your door! I love this! 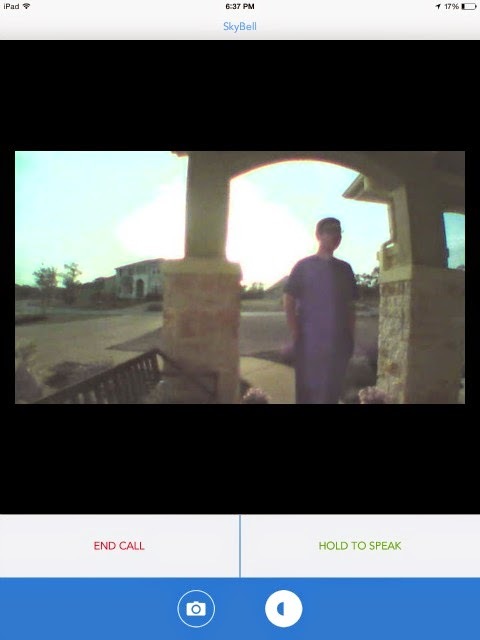 Our currect security system doesn't let us see who is at the door, let alone speak with them without answering the door! Love it! I think my family would like the video feature the best. That way we wouldn't have to take a quick look (hopefully with the person at the door not noticing) to see who it is! Not sure if my first comment actually posted..... lost my internet connection as I hit publish. 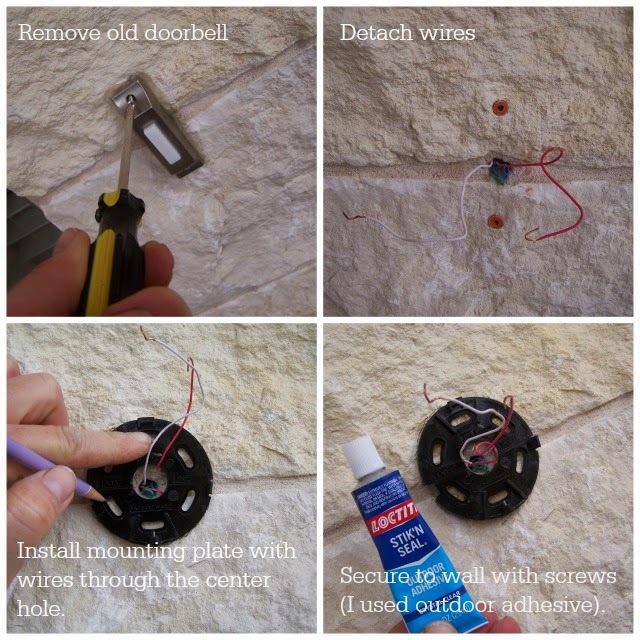 This is the coolest safety feature I could add to my home! WOW!! I love that I can see who is at the door on my iPad. LOVE the two way radio too!! WOW this is cool!! I love the video capability!!! I love that you can see who is at the door! The video on this is what I like best! I would feel so much safer with this!!! I LOVE being able to see who is at my door and being able to talk to them is a plus too! I love the motion sensor! My favorite feature is that I could actually see who is at the door right from my phone. Since I'm short, I can't see out the peephole so being able to just glance at my phone would be AWESOME!